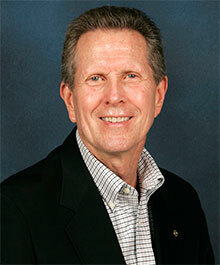 A native of San Diego County, Dr. Hoss is an orthodontic specialist with offices in La Jolla and Santee. He received his bachelor’s degree from San Diego State University and his Doctor of Dental Surgery degree from the University of Southern California. He earned a Master’s Degree in orthodontics from the University of Nebraska and studied European orthodontics techniques at the University of Oslo in Norway. Dr. Hoss served for two years as a captain in the U.S. Army Dental Corps with one tour of duty in Vietnam. In addition, he practiced orthodontics for one year in Lausanne, Switzerland. Dr. Hoss and his wife, Sandy, currently live in Del Mar. Away from the office, he enjoys tennis, surfing and skiing.